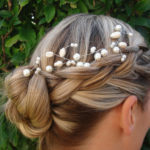 This article has the best collection of photos of Bohemian Wedding Hairstyles that upcoming brides and even bride’s maids can do for their big day. 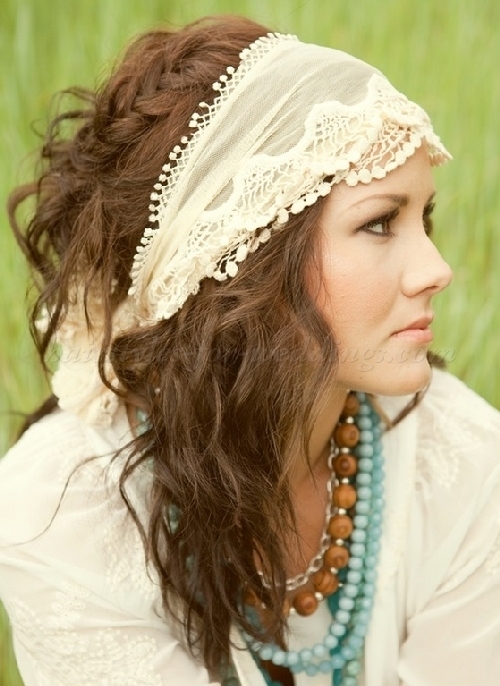 Photos of Bohemian Wedding Hairstyles for dark hair, brown hair, blonde hair and red hair are shared. Weddings are a lifetime dream of a girl and different girls dream of a different style of wedding. However, for the brides to be desirous of a dreamy romantic wedding would absolutely love the romantic bridal hair styles shared below. 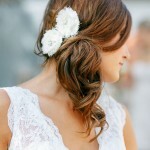 Bohemian Wedding Hairstyles can be of many types and usually includes artfully styled curly or wavy hair cascading down the shoulders or craftily stacked updos which are not too severe or strict, usually lots of wisps of hair escape creating a very endearing look of the bride. 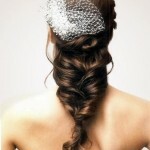 Any hairstyle which reminds the beholder of the retro period can be dubbed as a romantic hairstyle. These charming bridal hairstyles are not exclusive for any hair colour, these looks can be achieved on all hair colours such as black, brown, blonde and red and equally on South East Asian brides like Bangladeshi brides or Indian Brides as well as Western brides.